By now you hopefully know that Aluminum based deodorants are a major no-no. By now you should also hopefully know that coconuts are truly nature’s answer to everything and are probably going to save us all. 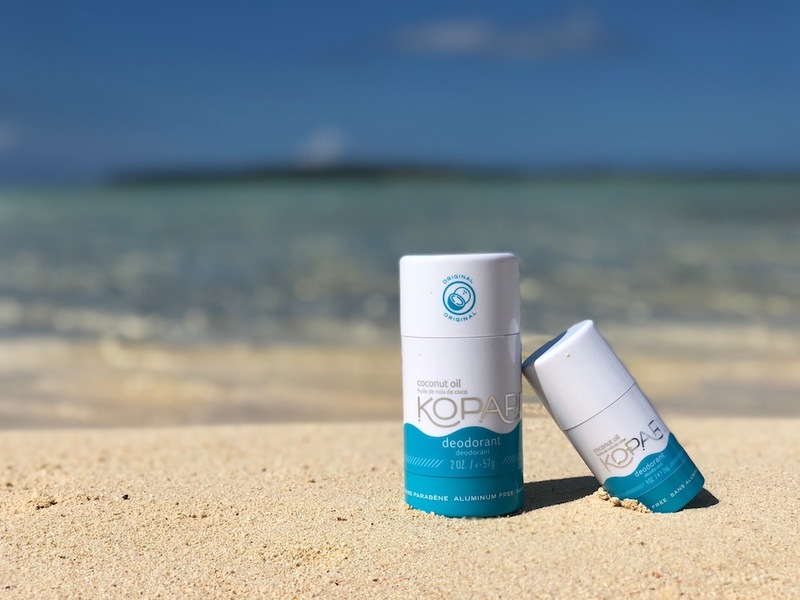 Finally, you should definitely know about Kopari, the coconut-based beauty brand that’s taking the world by storm. Why? Everything they produce is clean, natural and totally works. Oh, and it smells absolutely amazing. So who is behind this blockbuster beauty newcomer? Super duo Kiana Cabell and Gigi Goldman. The gorgeous pair understood the need for natural products that really worked and so, Kopari Beauty was born. It’s hard to imagine just a few years ago Gigi Goldman was a stay-at-home mother to three little ones. Like so many busy moms, Gigi rarely had time to devote to any kind of beauty routine, so she kept it simple and natural. The coconut oil that she used in the kitchen was her secret go-to multitasker for glowing skin and glossy hair, and soon she was chasing her kids around the house with this natural gem, curing everything from chapped lips to sunburned shoulders. The more she used coconut oil, the more she realized that its beauty benefits were simply too good to ignore. Gigi brought the idea of developing coconut oil specifically for beauty use to her husband who worked in the beauty business, and they got to work sourcing and developing the purest coconut oil on the planet. Meanwhile, Kiana Cabell, co-founder of Kopari, embodies the tropical, laid-back aesthetic of the beauty lifestyle brand that she helped create. Born in Hawaii, the self-taught beauty expert and certified organic chef brings natural intellect, authenticity and an intuitive skill set to Kopari. Kiana helps to spearhead product development, branding, strategic direction, and partnerships, and also serves as the face of the brand. Visit koparibeauty.com for more information.